One of the things I was super excited about for the wedding was my dress. Of course! I had an exact image in my mind. 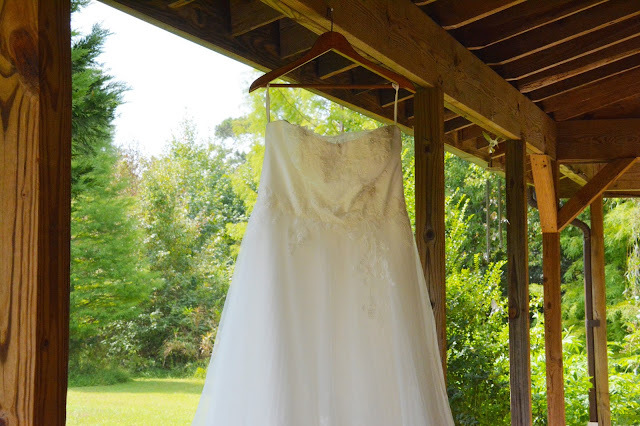 My dress needed to be blush pink, with little to no train, an illusion neckline, and florals that started up top and trickled down throughout the dress. I was pretty solid on the fact that my dress would be pink. I found tons online that I loved, and ended up going to a David's Bridal boutique, and a larger David's Bridal store. The boutique experience was pretty great. The woman set me up in a dressing room, helped me into a corset,a petticoat, and heels, then helped me try my dresses on. I found several I loved. I ended up trying on about 8 at the boutique. My problem? I didn't want to spend a crazy amount on a dress. I had set my limit at $500-600. A found a Vera Wang I was in love with, but it was closer to the thousands range. I couldn't find a dress I loved there within my price range, so my mom and I took a trip to the larger David's Bridal boutique. At the larger store, I told the woman that was assisting me that I wanted tulle, nothing satin-y, but she brought me dresses that were satin-y and even a dress 6 sizes too large. I had a moment and told her I'd prefer to look around myself to actually see the selection. I found a dress in a size I thought would be too small, but it looked pretty close to what I was looking for. Oddly, it was just hanging in a random place, and I'm hoping someone hadn't set it there for themselves. I tried it on, and surprisingly, it fit. When I walked out of the fitting room to look in the mirrors, I immediately felt my nose start stinging, and yes, I cried. The dress wasn't pink, and it didn't have the illusion neckline I wanted, but I knew it was the one. What was even luckier is that David's Bridal had a clearance deal for $200 off their off-the-rack dresses, so my dress fell within my budget. I considered getting my dress dyed pink, but it ended up working out perfectly that it wasn't, because it matched my mom's wedding veil perfectly! My mom added some flowers to the crown of the veil, and everything looked so beautiful together. 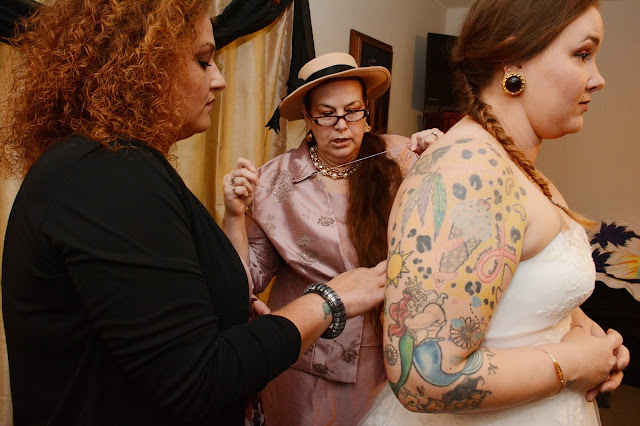 I was more than honored that my mom asked me to wear her veil; that meant so much to me. It was my something old (my parents have been married over 30 years) and my something borrowed. few embroidered flowers on the top layer. 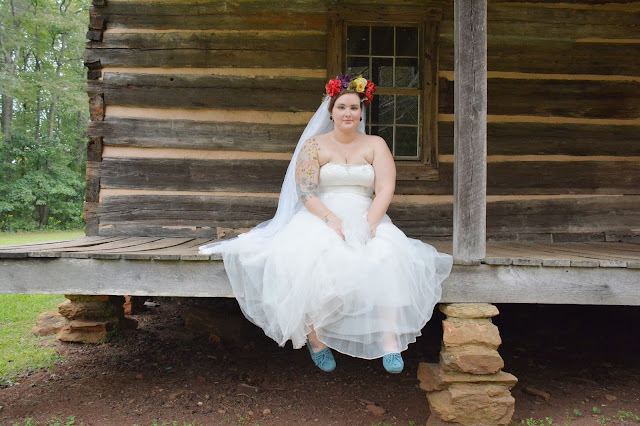 I chose to go with moccasins for my wedding shoe. The ceremony and reception were both outside, and in the woods. I knew a heel was not ideal, but also, I'm not really a heel kind of girl. Minnetonka moccasins are some of my favorite shoes in the world, so I knew that was the way to go. I chose a teal blue, as my something blue. The only pieces of jewelry I went with (beside my ring, of course!) was a dainty bracelet and earrings. My ears are gauged, so I knew it was going to be difficult or expensive to find some for the wedding. I'll be honest- I hate spending money, so I knew, even for my own wedding, that I didn't want to spend a ton on jewelry. 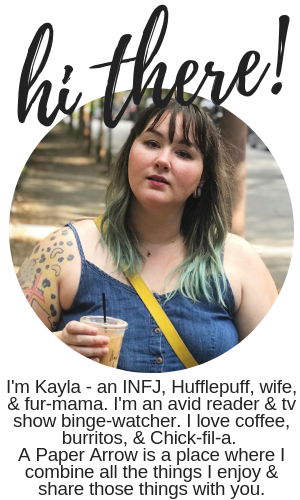 So, I made them myself. I bought clear acrylic plugs on ebay for less than $10 and some beautiful vintage clip-on earrings from a yard sale for $1. As much as it pained me, I snapped the clips off the back of the clip-ons and super-glued the decorative pieces to the acrylic plugs. The bracelet is hand stamped with the coordinates of our wedding location, and I bought it on Etsy from JSBangles. I am still in love with my bracelet and couldn't be more pleased with the product. 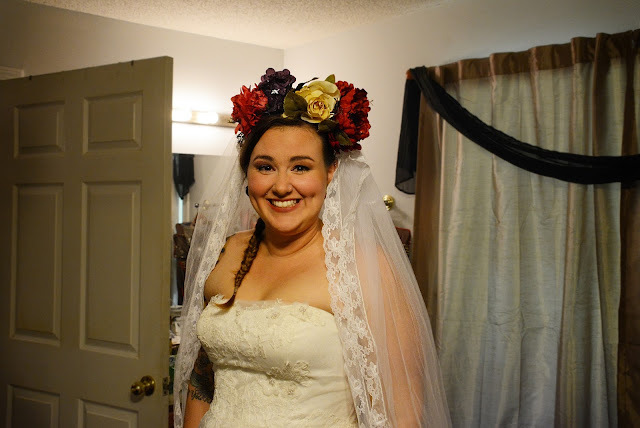 While I usually wear a dainty necklace daily, I didn't wear it on our wedding day because I knew my flower crown and my earrings were going to be pretty massive anyways, plus my dress had a lot of detail up top that I didn't want to take away from. I was so pleased with my wedding look. That best part wasn't just that I felt beautiful, but I also felt really comfortable and very much like myself. 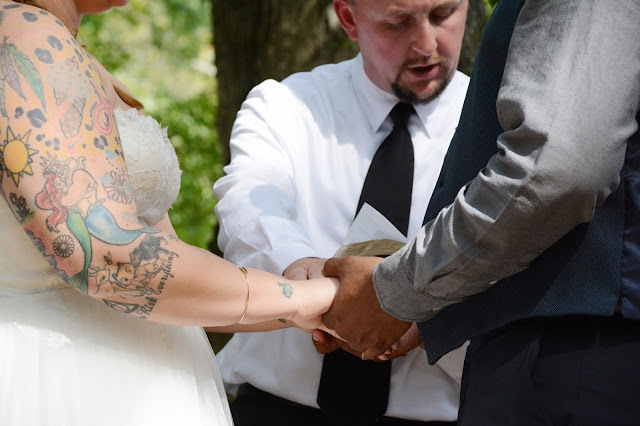 I didn't want to feel like a different person on my wedding day. Your dress is so gorgeous! It looks great on you. Thank you so much, Christine. You are always so kind!! Oh my goodness these details! Your shoes were absolutely adorable! Thank you so much, Macy! You're so sweet. I love your dress, and your whole look was so perfect for the setting! It's great that you were able to get a dress within your budget too. I have the most boring wedding dress story ever, I ordered my dress online at BHLDN on their Black Friday sale lol. That's amazing though. Your dress was absolutely gorgeous! !